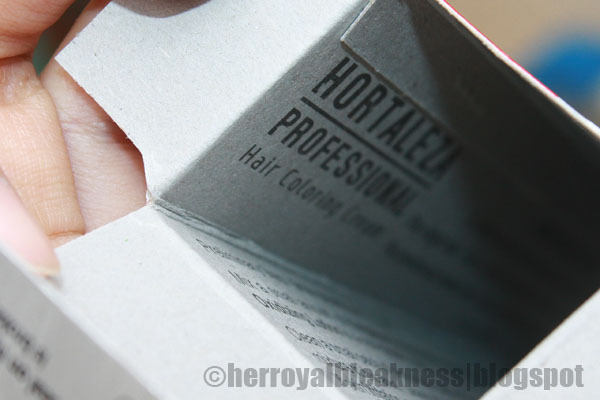 I finally got my hair colored with Hortaleza professional hair coloring cream in Light Havana 8.5. While I think the outcome was an outrageous shade of orangey red...period, people around me thought that it was a stunning shade that complemented my fair skin. Cream base with added conditioners make hair soft and shiny from roots to tips. 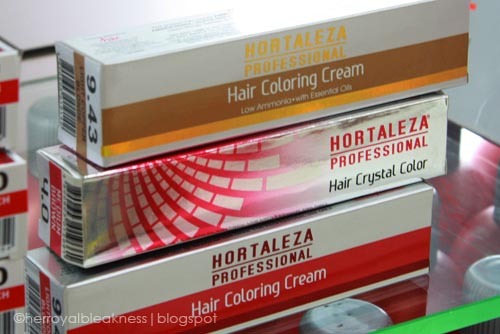 I cannot find anything to contest Hortaleza Professional Hair Coloring Cream's claim of a permanent, vibrant hair color. It does keep the hair shiny, too. 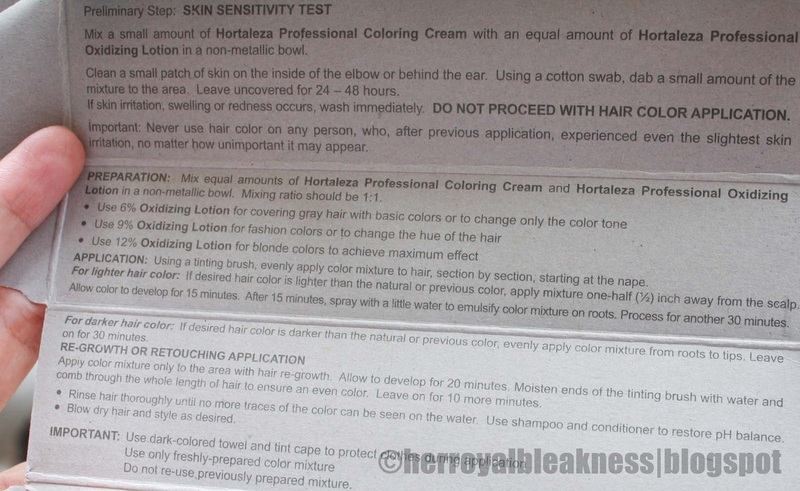 However, I find that this coloring cream was too drying for my hair (versus the Revlon Colorsilk). My hair was tangled and heavy when I rinsed off the hair color, and the succeeding days after, I realized that I needed more pumps of conditioner to keep my hair smooth and soft. instructions are found inside the box; potential buyers will be less aware how this product is suited for DIY. You can check out my haircoloring history. Before getting onto the light havana dye, my Revlon Colorsilk#50 Light Ash Brown-colored hair was already fading and 4 months old. Sigh, I was so disappointed I thought twice about tipping! Anyway, the color became darker after a week (during the Goody event I attended) and the upper part of my hair darkened a few more days after. So, yay! Overall, this is a product I'll be recommending to those who are willing to splurge on conditioners, hair masks and anything hairsturizing (you know what I mean you English nazis, you!). Who needs beautifully colored hair when you're bound to experience dryness and breakage because of poor post-coloring maintenance? 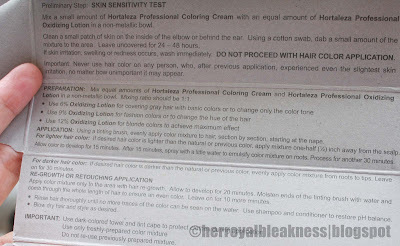 I might try out the two other HBC Professional Hair coloring cream variants to see if their formulation are a bit less drying on my hair. And definitely, no more light havana for me as it does not really suit my personality. I'll be getting colors that are more ash brown. Please stay tuned after a couple of months for a culminating review on how this dye fares in terms of color longevity. 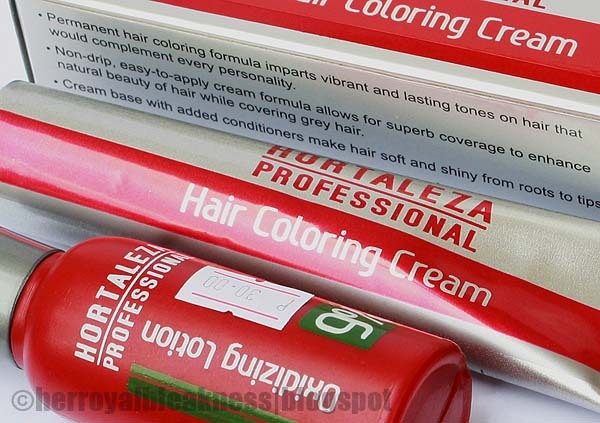 My friend recently colored her hair using this, too! whats ur original hair color? black? where did u get ur hair done? at home or salon? 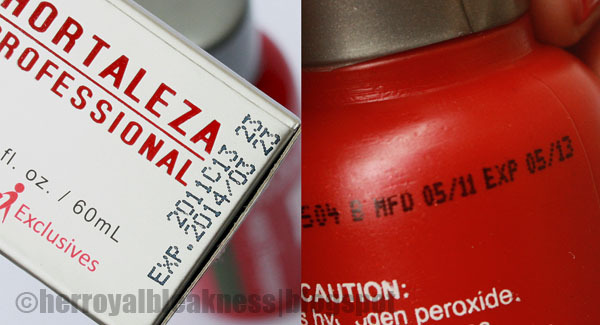 alot say hortazela isnt effective. 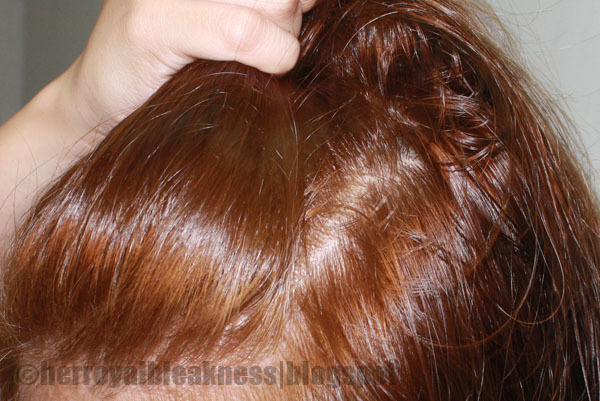 others have to bleach hair first before dyeing to desired color. wat did u do to get this result from hortazela? Prior to using the Hortaleza colouring kit, my hair's ash brown. I have other people doing my hair and I didn't have to bleach it prior to using Hortaleza's. Nope, I didn't bleach prior to colouring. It may have been too vibrant for my taste, hee. Hi, did you only use LIGHT HAVANA As your hair color or did you mix it with another shade of coloring cream? Hello! Thank you for sharing your thoughts about professional coloring in your area. I am glad to stop by your site and know more about professional coloring. Keep it up! This is a good read. I will be looking forward to visit your page again and for your other posts as well. In Cap, when a plastic cap is placed tight on the head and strands are pulled through with a hook. Whether you’re looking for a totally new hair color, highlights or lowlights, or just a touch up, Pavlova’s professional coloring services are for you. 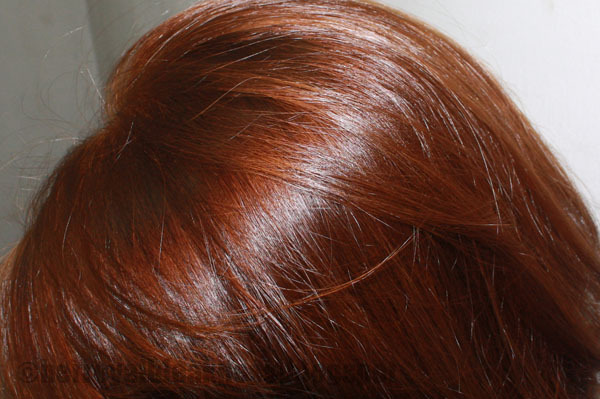 Our experienced certified Master Colorists are happy to discuss your desires to ensure you get the perfect color. 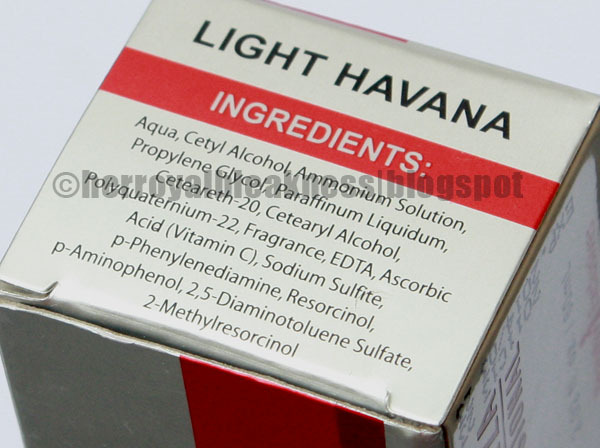 Hi ilang percent yung ginamit mo na pang mix sa kulay ng hair yang light havana. 9 ba or 12%? How can i color my hair .and any suggestion if wat color that match to my skin.